Right here in the United States of America. Be it known to all: We are Christians. We are saved by the blood of Jesus and forgiven of our sins by Almighty God. We are still in this world. We still suffer that which is common unto man. We are still tempted, and we still fail greatly at a multitude of things. It still rains upon us as it commonly does upon anyone else. We are not perfect, except through Jesus. The Bible says that when the Word of God is sent out that it shall not return void. We shall answer to God for our deeds and thought that this would be a nice chance to tell people about Jesus. If you believe in Jesus, then good for you. If you do not believe in Jesus, then you had better start believing in Jesus right now before you lose your chance; Life is like the blink of an eye; You should believe in Jesus now. 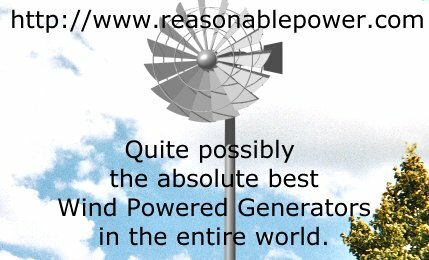 "Nice to Know" as it appears on this page is a service mark of reasonablepower.com, and is not presented as a part of any other source. Yes, you do have permission to reprint or repost this page in either black ink or color, but only in its entirety. Yes. You do have permission to use a direct link to this page using this page's title as the anchor text .